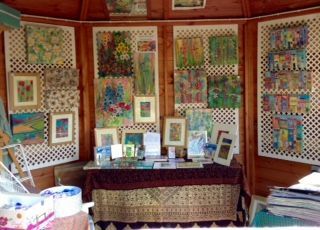 Summerhouse Gallery 2016 - Textile Art by Marion Browning.B.A. hons. My Summerhouse Gallery for Hampshire Open Studios 2016.